Kompas has recently set out to enrich its congress tourism activities by interlacing its standard travel and tourism package offers with local particularities, which in turn enhance the guests’ stay with experience typical of the unique Alps-Adriatic Region. Kompas d. d. Travel and Tourism Corporation with a network of 22 Kompas Companies outside Slovenia (its most important markets being Europe and the USA, Asia ) has in the past few years refocused its activities into developing premium congress tourism products in the Alps-Adriatic area. Kompas is very successful at interlacing its high-quality congress tourism offers with travel and tourism services aimed at highlighting the advantages of the Region’s natural, cultural and historical characteristics, and the events organized by local providers that combine the past and the present. The congress activity will thus serve as a basis allowing the participants to discover the country hosting the event and its main attractions (Postojna Cave, Bled, Kranjska gora, the Coast, etc.) or typical sites (tourist farms, destinations of excellence and ‘green’ products) that might not be in the foreground when it comes to standard tourism offers, but are by all means special enough to ensure an excellent time for all guests. Kompas offers a wide array of the most popular congress hotels and wellness resorts, but its clients may also opt for special accommodation, located in wonderful natural surroundings and managed by welcoming locals. In other words, for Kompas, congress tourism has long since been much more than just business meetings and workshops; it is a subtle blend of business travel and tourism products with local tourism offers. Kompas excels in organizing events at the highest level of professionalism, for which it is also recognized by its partners. Kompas Meet is a relatively new brand, a Kompas DMC brand for MICE. It is one of the largest travel companies in the region and is a genuine Adriatic Ambassador. Kompas Meet is specialized in the organization and management of incentive trips, meetings, conferences and events in Slovenia, Croatia, Montenegro and Bosnia and Herzegovina. The company is dedicated to discovering new destinations, activities, and venues in the region, that will create unforgettable memories for their clients. Whether organizing big congresses with hundreds of participants, small business meetings or memorable incentives, your ideal organizer has to show hospitality, the best the selected destination has to offer and at the same time meet all your specific requirements. 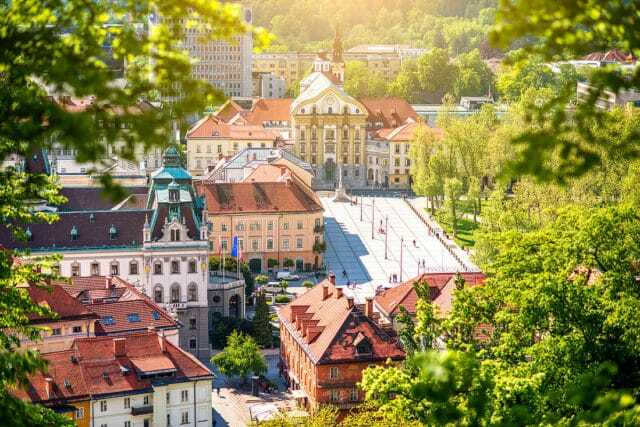 It may seem that the story of Slovenia, a country with many assets – incredible natural diversity, wonderful countryside and rich cultural heritage – is not difficult to tell. The Kompas team fully understand the challenge of introducing all of Slovenia’s beauties, to which they devote their knowledge, efforts and love each and every day. This warmth is symbolised by the trademark MEET. Meet Kompas, Meet Slovenia, Meet something new. Whether it be a country, its people, days past or present, local events, cities or the great outdoors. All you have to do is – MEET US. This warmth is symbolized by the trademark MEET. Meet Kompas, Meet Slovenia, Meet something new. Whether it be a country, its people, days past or present, local events, cities or the great outdoors. All you have to do is – MEET US.